The Rio Salado Library is helping us celebrate National Hispanic Heritage Month with an online guide to help you learn about the lives, contributions and legacy of Hispanic and Latin Americans. Learn about Hispanic Heritage Month activities at Rio Salado College in this RioNews blog. Mural Artist, Daniel Galvez. 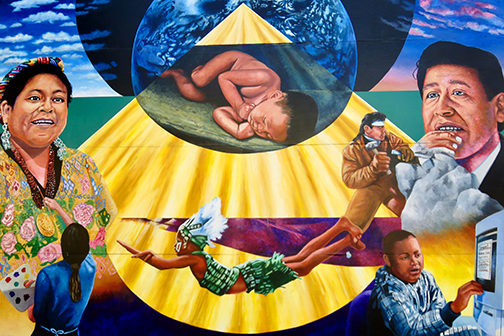 Learn more about this mural. Photo of mural by Fabrice Florin. Learn more.